A frenum is a small fold of soft tissue that connects each lip to the jaw and the tongue to the floor of the mouth. When a frenum is too short or too strong, it overly restricts the motion of the tongue or the lip. This condition is commonly called either a tongue-tie or a lip-tie. For a child, a tongue-tie or lip-tie can cause many problems with speech, eating and overall dental health (due to not being able to brush properly). These conditions can become more pronounced as the child moves into adulthood. 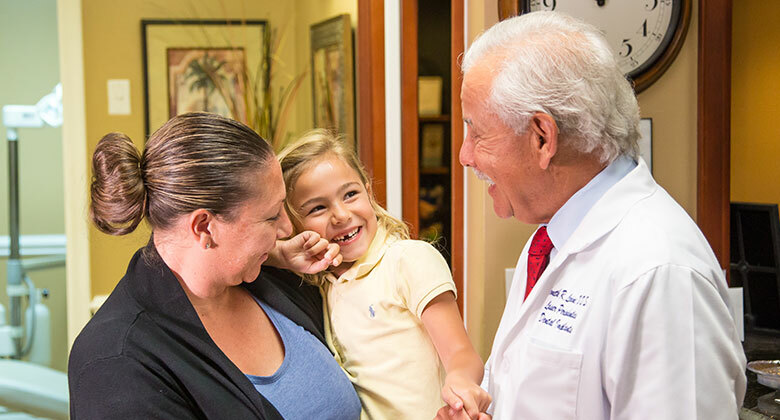 To remedy a tongue- or lip-tie, Dr. Levine can perform a frenectomy, a fast and simple procedure that removes or reduces the size of the frenum and restores proper mobility to the tongue or lip. He uses an advanced dental laser to gently release the tie. This makes the treatment fast and comfortable, and reduces healing time. Chewing and swallowing can be inhibited – The tongue needs to move freely to control the placement of food in the mouth when chewing and swallowing. Without this control, eating can be difficult and chewed foods may be hard to swallow. Restricted tongue motion can cause speech impediments – Letters that require close tongue contact with the upper jaw, such s, z, t, d, l and r, can be hard or impossible to pronounce correctly with a tongue-tie. Tongue-ties have also been found to be a major contributor to lisping. Orthodontic problems can be created – A tongue-tie can prevent the tongue from forming a proper seal on the palate when swallowing. This can lead to a compensating tongue thrust that eventually pushes the front of the dental arch forward. The resulting misalignment of the bite can then require major orthodontic correction. Lip-ties can cause cavities – Lip-ties can prevent plaque removal from the teeth, allowing for the development of cavities. A tongue-tie can lead to jaw pain and sleep apnea – Improper development of the jaw can also lead to problems with the jaw joint muscles. This can result in jaw and muscle pain in the head and neck. A misaligned jaw can also cause the airway to collapse when sleeping and generate sleep apnea. Dentures can become loose – For adults wearing dentures, a lip-tie or a tongue-tie can interfere with the denture’s fit and cause it to become loose. 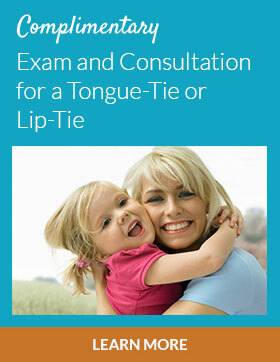 If you or your child are having difficulties which might be due to a tongue-tie or lip-tie, come see Dr. Levine for a Complimentary New Patient Exam. During the exam, he will check the frena and determine what difficulties they are causing. 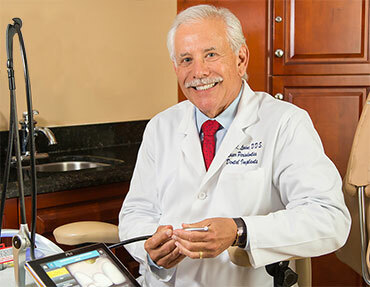 He will tell you if a frenectomy is advisable, will thoroughly explain your treatment and will answer all of your questions. Your ability to speak clearly can improve, making it easier to express yourself. You may find it easier to eat and swallow, which can also improve your appetite. If you wear dentures, they will not come loose as a result of an overly restrictive frenum. You may have less concern with how you look or sound, which can improve self-confidence. 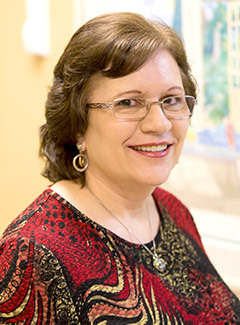 Dr. Levine uses a high-tech dental laser to gently remove the excess tissue. Laser incisions are less invasive than a scalpel, as they are more precise. Laser treatment creates minimal bleeding and there is little to no post-treatment swelling or discomfort. 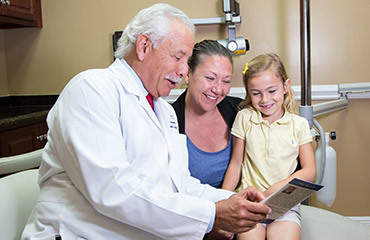 The full frenectomy takes just a few minutes. And due to the fact that the laser seals the tissues right after the incision, healing is rapid. “The practice is first-class. The staff are awesome and provide the best in caring and support. They are totally top-notch.